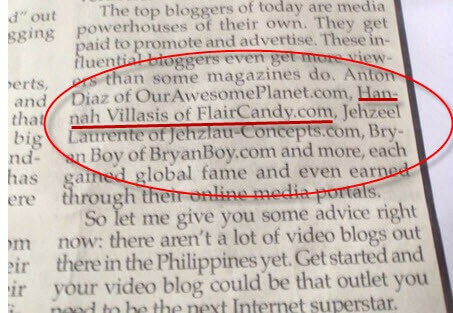 Todayâ€™s Philippine Star edition (June 19, 2010) mentioned yours truly of FlairCandy.com wee! 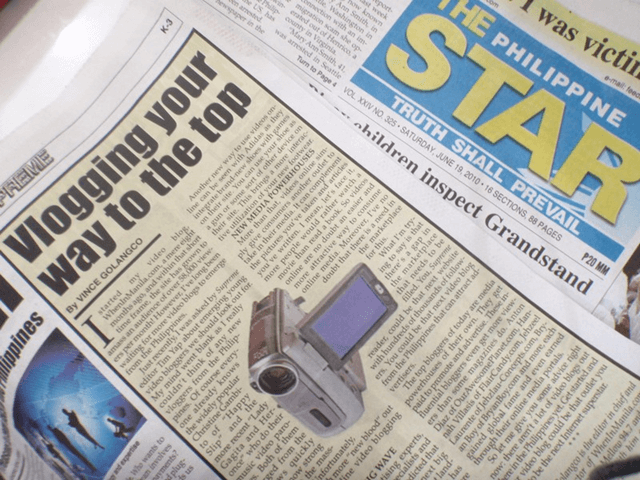 Vince just started writing for The Philippine Star and his first article is all about â€œVlogging Your Way to The Topâ€! Check out his article and his experience about being one of the writers of the Supreme section of the Philippine Star here. You can also read the full article online here. Thanks dude.. onting mention lang yan woot.. di bali pag ako nagsusulat narin sa newspaper I mention rin kita wee! Cool. I knew about your site via an article from Manila Bulletin (June 21, 2010 issue) on page D3 called “Beauty and Brains @ flaircandy.com”.